Absolutely fantastic venue. Thank you to all the staff who were fantastic and helped to make my husband’s 40th birthday party a huge success. Extra special thanks also to Suresh for helping to organise the event, the balloons looked fabulous and better than I could have hoped. No request was too big, and you could not have been more accommodating. The downstairs bar area which we hired was set up exactly as requested – perfect for our requirements as we had a varied age group. The party went on well in to the early hours and the bar was well stocked with everything you can think of. I had my Big 50th at MIDAS and it was defiantly had the Midas touch,. Suresh and the team were absolutely fantastic. Customer service was very good, the food was great, drinks were flowing and the venue amazing, we all danced until dawn as the DJ was awesome. Anything too big or too small all the details was dealt with in a very professional manner by Suresh. Once again thank you Midas for making my special day AMAZING !! We had our 18th and 21st birthday last weekend at Midas, Fantastic night, bar staff really quick and friendly. Big thank you to Suresh, will definitely recommend to our friends and family. I held my 50th birthday party at Midas and had the most amazing evening. Suresh was so accommodating to ensure I had the most memorable night! All my guests said they had an amazing night and whow perfect the venue was. It’s well decorated and a perfect size for the party. I would definely recommend using Midas for any celebration and I would certainly use it again. I hired Midas for our work Christmas party. We are a large secondary school in Leicester and the venue was just right for the amount of people. We have used Midas a couple of times now, the service has been excellent. Suresh and his team were very accommodating about room layout and decoration - on the night it was perfect. The bar staff were very helpful and friendly, and didn't mind that we were all in fancy dress! The buffet provided was also very good. It was a great night, we will definitely use Midas again. Suresh helped me to host my husband's surprise 60th birthday party in October 2018. It was an amazing evening where everyone had a wonderful time, the music of our choice played on and the photos of his life were displayed on the back wall... the venue was perfect with enough seating as well as space for dancing! Suresh catered to our needs and we were able to set up early in the day to avoid being found out and even though the food was our own, Suresh made sure everything was presented beautifully. Thank you for the use of the Midas Lounge - a great venue for a party! I hosted a 21st birthday at Midas Bar on the 27th January 2018. Firstly, Suresh was absolutely amazing in helping organise the party and was extremely flexible to suit me which I found very helpful. The venue was perfect, a great size and very picturesque. We all had an absolute blast, definitely a night to remember. There was a huge range of drinks available and service was quick and friendly. I hired Midas to celebrate my husband Vijays Surprise 50th Caribbean theme birthday in Aug 2017. Suresh was so helpful throughout the whole organising of my party and looked after me well. He has been amazing and supportive all the way and with help in setting up the room, which was such a big help as it was a surprise party and this was one less thing for me to be doing or worrying about on the day. My husband was absolutely amazed by his party and so overwhelmed with joy. This was the first time we had a party here. He loved everything about his party and the venue he was so pleased with. Everyone had an amazing time and said how wonderful it all looked. I had bought all the decorations and left it all with Suresh to put out, we only had to do a few finishing touches on the day. We will definitely have more parties here. Thank you again Suresh and be assured we will pass on our word and already have many of our friends asking about this venue. I would like to Thank Suresh for an amazing Venue. We had a absolutely fabulous night hosting our BT work awards party. We were allowed to decorate the room up, also display a slide show of photos on the equipment Suresh supplied. He supplied a mic, disco lights and smoke machine. We also took our own music on a laptop to play through his systems. The staff were great on the night and Suresh was there to over see everything went ok. The Room was clean, toilets great and perfect size. We will not hesitate from using this venue again. Decided to throw a 30th birthday party and after viewing Midas I knew that it would be perfect for what I had in mind. The owner communicated with me all the way up to my party date and put into place all my requests for the party. The staff were very friendly and helpful when arriving at the venue and were there attentively to see to all mine and my guests needs. Was a perfect venue to see my 30th through. We recently threw a party for my daughter's 18th birthday party. 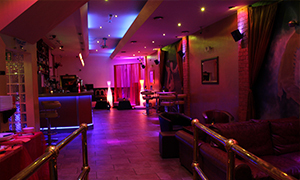 We'd looked at other venues, but Midas is perfectly located in Leicester's Cultural Quarter. Right from the start, the owner, Suresh, couldn't have been more helpful. We planned everything with him, including food, drinks, music, lighting etc. The staff are brilliant and made it a really special evening. Midas are very flexible on arrangements, and were more than happy to have more than a 100 18+ year olds having a great time. I've told loads of friends about Midas. It's a perfect venue for a great night! DJ'd there a few times and Suresh was a pleasure to work with as usual, never a problem and very helpful along with his staff. Top bloke, top venue and top service! We had our wedding reception here on 2nd April, 2016. Suresh made us feel very at ease throughout the whole thing. He was happy to listen to ideas and very helpful all through the day and planning prior to this. Very reasonably priced. Lovely venue and you can decorate it how you want. His staff put on a lovely champagne reception and gave out our canapés. Good selection of drinks at bar and happy to order in any special requirements! Clean and tidy facilities. Outside area was a real added extra at the front. Upstairs is beautiful and the beams really complimented my bunting! Venue has everything you need for a really personalised event. And the exclusivity is ideal. We had upstairs and downstairs. Hog roast served upstairs and plenty of space for everyone. It was the best day of our lives so far and Midas contributed to that massively. Thanks Suresh and team!! I would just like to say what a wonderful venue this is. It was just the right size for my birthday party, it had a cosy, classy feel to the night. My guests throughly enjoyed themselves. Friendly staff. This place definitely has the Midas touch. highly recommend ! Great venue held 2 party's in last 2 years...brilliant!!! Fantastic venue! Suresh and his team were excellent, and couldn't do enough to help. I had my boyfriends 30th birthday party, for around 50 guests. Loads of room,great service and perfect location. Everyone had a great night! Highly recommend this place! The staff are great, they can't do enough to help you and make sure you have a great night. Thank you! Sons 21st party, great nite, with family and friend.... Suresh and staff very accommodating and brilliant venue for a party. Great Atmosphere, great staff. Definitely a place to go!! Great venue, daughter and fiancé had engagement party here, split level and also outside seating, ideal. Suresh was really helpful and accommodating , would definitely recommend it! Just had my daughters surprise 18th birthday party. Great venue, great staff and a great night. Thanks Suresh and your team. I just want to say from the bottom of my heart a big thank you for letting me hire out your venue for my Wife's 30th surprise birthday party (2017). I couldn't have done it without you and your staff who were amazing on the night to accommodate our every need. My Wife was blown away with the fact we managed to actually keep it a secret and surprise her, all our close friends & family had a amazing night. The venue was great, excellent music and thanks for arranging a DJ at such short notice. The service was exceptional too!! Thank you once again to everyone at Midas Bar! A 30th party we will not forget for some time. Thank you Suresh and team for a fantastic night. Brilliant venue and you couldn't have done anymore to make it to our requirements. The venue is central and easy to park (if using NCP can get voucher for reduced parking at bar)I've tagged Midas to the Facebook photos. We would definitely recommend.Thanks again. My 21st Birthday party was at Midas bar, and I must say it was fantastic. Everybody had a brilliant time. -Bar service was very efficient, not like most places. -Staff were friendly and helpful. -They were very flexible with my personal requirements. -The location was Handy for going out afterwards. Thank you very much to Suresh and all of the team at Midas bar, all of my guests and I were very pleased and had a fabulous night. I would definitely recommend Midas bar, and hold a party there again. I would like to say thank you to Suresh and staff for letting me hire out your venue for my 21st birthday it was amazing, best party I've ever had. Bar staff were really good handed me a glass of prosseco soon as I walked through the door, atomisphere was unreal. It was amazing thank you all so much for making it special. Thank you to Suresh at Midas for providing the perfect venue for my 30th birthday party. From the very beginning, Suresh was incredibly accommodating and understanding about my specific needs for the party. His team were incredibly friendly on the night and the attention to detail was fantastic. Dj Skippa performed amazingly well on the night and listened to all requests the guests had. Overall, an exceptional venue and I would thoroughly recommend Midas. I'm trying to find another excuse just to host another party there! Thank you so much again and I really look forward to seeing you all again! I had my husbands surprise 40th at Midas bar last weekend. What can I say. What a lovely venue. Suresh was willing to help from the moment we booked. He was just at the end of the phone to answer any questions. On the night, everything was perfectly. Midas has every drink I could have asked for and more. The sound system at the venue was fab aswell. To all the staff at Midas, Thankyou for everything and making my husbands 40th a good one and hassle free. I had my graduation party at Midas 30/1/16 - great venue, very good communication to accommodate for the party, the venue was brilliantly presented, the use of the projector added to my party for guests to see my graduation photos. I would like to thank Suresh and his staff for making my party a success. I would definitely recommend Midas and would hire again in the future. Thank you again to all the staff. We held our works Christmas party here in January. Venue was brilliant. Had a few visits with Suresh on the run up to it and all our requirements were catered for. I celebrated my 30th party here, the place was perfect, the staff were so friendly and couldn't do enough for you. I had a lovely birthday and any future parties I will definatly be booking here again.... Thank you so much. I booked this venue to host my boyfriends surprise 30th birthday and from the word go I was completely put at ease. Suresh is incredibly professional, understanding and really goes out of his way to cater to all your needs! The night was amazing; I honestly couldn't think of a better place to go and would certainly use Midas again when planning my next event! Cheers Suresh you're a star! Midas bar was recommended to me by a friend, I'm glad I had my 19th birthday party there.The staff were very helpful and welcoming to everyone.The venue it's self was beautiful and glam. I would like to say thank you to everyone at Midas who helped make my birthday special. I planned a surprise 70’s themed birthday party for my mum, who turned 40, and what a great night it was. Suresh was great; he offered a helping hand whenever I needed it. The staff were all very polite and helpful too. When I arrived Suresh and the staff all helped with setting up with the food, decorations and the cake, which I am very grateful for. My mum had no idea what we were planning and was very surprised when she arrived. She had a brilliant night, as well as all the guests. The atmosphere was great and there was no pressure for us to leave, so we could carry on partying. Thank you to Suresh and all the staff for making my mum’s party such a fun night. Midas is a great venue and is perfect for any kind of party. I would recommend it to anyone who needs somewhere to host a party! I had my 21st birthday party here and couldn't have wished for a better venue and staff, the staff were very polite and friendly and the owner Suresh was very helpful and more than happy to deal with any request/ inquiries. We used a DJ recommend by Suresh and had so many compliments on how good he was. Thanks Suresh and your team for making our daughters surprise 18th birthday party so special. The atmosphere was electric and the service you provide was exceptional. The best place to party in Leicester. Had my 30th here just lastnight. It was a fantastic doo and everyone that attended had a great night. The in house dj was brilliant and understood my requirements with genre of music i required. The bar staff was attentive and dressed smartly. Suresh the owner was very accommodating and took time out to listen and help with proceedings of the night. well done suresh to you and your team for making a very memorable night for me and my guests. All the best for the future, i will definitely be seeing you soon no doubt as Il b letting people know of MIDAS!!! My party was last saturday may 16th...wow will never forget it!!!!!! Thanks so much to you again Suresh. Nisha and I would like to take this opportunity to thank you for a very memorable evening at your bar. Your help and support on our big day, was greatly appreciated. Thank you for organising such a good DJ which was perfectly suited to the party we had, the music played was exactly what we wanted and was above and beyond our expectations. Thank you for setting out the food that we had provided and putting out the decorations that you had arranged and which we had provided. The venue was plenty big enough for our party, and we had an amazing evening. Thank your for your help in organising accommodation for our out of town guest and parking for the drivers attending. We will definitely holding future parties at Midas Bar again. Thank you once again for your help, support and hospitality at Midas Bar. Hired the top room venue out for a joint 23rd/24th birthday party. Staff were brilliant and set the room out nice and offered us drinks promotions also. Used our own music and food and Midas were fine with this. We all had a brilliant night. Thanks, will definitely be suggesting to friends and family. We were looking for a venue for a joint 30th party local to the centre of Leicester and easily accessible for all our guests, we came across Midas bar and ticked all the boxes for us, it was absolutely ideal just what we wanted. Suresh consulted with us on the run up to the party with meetings and calls nothing was ever too much bother. Suresh and his team did a great job on the night, all our friends who attended have said what a fantastic night it was. If you are considering a party get in touch with Midas Bar! I threw a leaving party here recently, and had a fantastic evening. Great venue and friendly and helpful staff. Midas can offer the whole package and really help you make the best of your party, or happy for you to do it all yourself if you prefer. We had a great Xmas Party, the venue was set up professionally, the food was beautiful which everyone enjoyed, the DJ had everyone on the dance floor and the management and staff at the venue was friendly and polite no job was a bother to them, which made our evening so personal with the group instead of sharing with another's. Once again thank you for a great night ! I wish thank Suresh and his team for making my son's engagement party a night to remember. It was the perfect venue with the perfect atmosphere. The food laid out was complimented by all the guests, the dj was excellent and the staff were very helpful. All in all everyone had a fab night..............roll on the next party as we would definitely choose Midas again. Thank you again Suresh and the Midas crew. I had my 40th birthday party at Midas Bar in late January (sorry it has taken me a while to write!). I want to say a BIG thank you to Suresh and his staff for making the night a success. Everyone had so much fun, the atmosphere was amazing and the food was excellent. My kids could come too which was excellent. Everyone gave great feedback and it was an enjoyable night. It is a fantastic venue which creates a warm and embracing ambience. Suresh was very friendly and accommodating and we will surely have another party there soon...thank you! I held my 50th birthday party at Midas on Saturday 8th March and had a fantastic time and everyone thoroughly enjoyed themselves. We had the ground floor bar which I would recommend to anyone planning a party for any age, we also used the DJ Suresh had suggested and he played all the 80's hits we had requested. Thank you Suresh for a great night. Hi - we held a party for my daughters 18th Birthday just before Christmas and have to say that we had a fantastic time. The Midas team did everything possible to make sure the evening went swimmingly from the minute we walked in to set things up to the minute we finished and left. It was a great place with a excellent atmosphere - and will definitely consider holding a party their again. We had my husband's surprise 40th birthday party at Midas and it was fantastic! Suresh and the team helped me plan everything without any fuss, making the seemingly insurmountable task of planning a party with over 100 attendees into something that was simple and frankly, enjoyable. My husband didn't suspect a thing, everyone had an amazing time and many folks commented on how lovely the staff were - incredibly helpful and smiley! Thanks for eerything! Would recommend. Our daughter had her 18th Birthday Party here and I was so impressed. The venue was lovely, the staff are so friendly and helpful and Suresh went above and beyond to make the night perfect. I would recomend the Midas Bar to everybody. I hired the Midas Café Bar in Leicester for my 30th Birthday Party on Saturday 19th Oct 2013. I have visited this bar twice in which I’ve great times celebrating an engagement and 30th/40th Birthday parties. I knew this venue would be absolutely perfect and no doubt my event could not have been anymore perfect. I have to add, that this was the first time I have ever organised a party but I have to say Suresh and his staff were excellent, not only on the night but leading up to the event. Suresh accommodated every request and was able to suggest and give advice where required. My 70 + guests were accommodated with excellent bar service, clean amenities and the use of the projection screen which was a lovely personal touch to the night without any extra charges!! Special mention to the DJ – Sundip Pithwa (DJ Skippa) who catered for my genre of music which consisted of Bollywood, Bhangra and old skool RnB, the music was great which got everyone in the mood to get up on the dance floor. The music was that good that the private party upstairs (guests) came to have a look at what is going on. Also a party at Chutney ivy finished early and they also joined my party too. If you’re looking for a venue, for any event Midas is the place to hire! Thank you so much one again, well done Midas, all the best!! We booked Midas for a joint graduation party on a Friday night. Our family and friends had a great time. Fab venue, would definitely use it again! 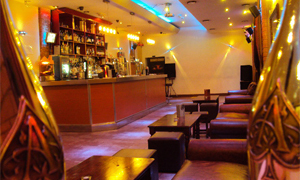 We hired the Midas Café Bar in Leicester for a 21st Birthday Party on a Saturday night. From the initial viewing we knew this venue would be absolutely perfect and no doubt our event could not have been anymore perfect. I have to add, that this was the first time I have ever organised a party but I have to say Suresh and his staff were excellent, not only on the night but leading up to the event. Suresh accommodated every request and was able to suggest and give advice where required. Our 100 + guests were accommodated with excellent bar service, clean amenities and the use of the projection screen which was a lovely personal touch to the night without any extra charges!! Special mention to the DJ – Sundip Pithwa (DJ Skippa) who catered for all ages / genres, the music was great which got everyone in the mood to get up on the dance floor. If you’re looking for a venue, for any event Midas is the place to hire! Thank you so much one again, well done Midas, all the best!! Best wishes, Krishna, Mayuri, Mehul & Nikesh. Great Venue, great feedback from all my friends / family that attended. Nice atmosphere and decor, along with the projector / laser lights as bonus ! Suresh the owner was able to give me contacts with subsided rates for food, DJ's, photograpther, balloons, banners, table cloths, tea lights which was great as this made life easier for the host to enjoy the day too. As the rooms size is deciving in size it can accomadate easily for approx 100 /120 downstairs or even 50 comfortably, and still create a great atomosphere. I organised a joint birthday party and this was the first venue I went to see and it ended up being the only place I needed to see! A fantastic venue with a cool layout. Upstairs alone is a great place just to chill. The staff were very helpful, accomodating and very humble. If you're thinking of organising a party in Leicester, than look no further than Midas. You will not be disappointed. Your saturday night DJ was HOTTTT!!! I booked my 40th birthday party here. It was the best night! The room looked lovely and the staff were great. Nothing was too much trouble. All my guests commented on what a great night they had. Thank you so much to Suresh and all staff. I will be recommending you and will definitely visit again as soon as possible. A big thank you to Midas café bar for all the help with setting up our band and being so accommodating to our needs it really helped to make the night special for the man whose birthday it was and for all of us as well. I hired The Midas Bars downstairs room for my 40th birthday party. The venue is great. Perfect size, friendly staff and great DJ and Suresh couldn't have been more helpful!! I had an amazing night and all of my friends were very impressed. Thanks to all at the bar for helping to make my night a success!!! Would definately recommend this venue. 13.04.13 we threw a party at Midas for a joint party from the first moment we saw the venue we knew it would be perfect for what we wanted, Suresh was more than accommodating he did everything he promised and his venue delivered, he was so patient and did everything we asked of him even at the last minute. His staff on the night were excellent as was the food, the DJ he found was out of this world and kept everyone happy considering there was a huge range of ages. Perfect location in Leicester city centre, fair prices. If you book this venue you will not regret it, Suresh and the venue deliver. We did have two very small unfortunate incidents, but as a true gentleman Suresh apologised and bent over backwards to make up for it. Quite literally the best party I have ever been too. 10/10. We decided to have our Law Ball After Party with Suresh and his wonderful staff at Midas. The evening went off without a single problem and everyone had an amazing time. Personally, I couldn't have asked for a better evening! From all of us in the Canadian Law Society, thank you for a wonderful time! Celebrated my 30th with some friends on 2nd Feb... Had an awesome evening! Venue was fab, accommodating all our needs! Everyone that came had a brilliant night and really enjoyed themselves.. The staff were great and really looked after everyone. Party went on for a lot longer than expected, but there was no problem! Would definitely use the venue again!! The best party we have ever thrown! I did my husband's surprise 40th here at Midas. Everything went to plan and everyone had a fantastic time. Great atmosphere for a party, not to mention food was very tasty! Good management and staff too. I would definitely recommend. I booked the Midas bar for my sons 30th. Suresh and his staff were very helpful and friendly. I was able to bring in our own D.J and Cake . Everyone had a great time I would recommend the venue to anyone who wants a central location for their party. I recently held a fancy dress party at Midas and was really pleased with the night. Suresh and the team were very accommodating, helpful and friendly. Everyone enjoyed themselves and really liked the venue. I would definately recommend Midas to friends and family and would probably hire it again. After our wedding in New York, we were looking for a venue to have a party for everyone who couldn't come - Midas bar certainly didn't disappoint! The staff were really helpful and friendly. I would definitely recommended Midas to friends! I threw a surpise 30th party at Midas, the venue was perfect as it was city centre location and was easy for everyone to find. The size of the venue was also perfect, not too big and not too small. The staff were all very friendly and accomodating with all my needs and helped me out too. Once the surprise took place I didn't have anything to worry about, so I could let my hair down and enjoy myself too. Would definately recommend Midas as a party venue and I'll also keep it in mind for future parties too. I just wanted to say what a fabulous night we had last night. People have been texting me all day to say best night they've had in ages. We all agree it was largely down to the venue - the size/layout and organisation was perfect, am so pleased we decided to hold it there. Sorry if anyone was annoying, the drink was flowing, and am sure they irritated the DJ too, please tell him thanks for his patience and he was a great DJ too. Please thank the rest of the staff too. After a rather long venue hunt for our 21st birthday party we found Midas, who provided everything we were looking for and more! Excellent service, all of the staff were brilliant and went out of their way at the end of the night to help a certain someone who became a little worse for wear...! All of the guests are still talking about what an amazing night they had, and the projection wall was a beautiful touch (even if we did use it to subject everyone to horrific childhood photo's!) Thank you to Suresh for being so accomodating throughout the party planning and we hope to see you again soon! In May attended a family members 21st birthday party. I'd not heard of this place before as it wasn't in the centre of town. It's location is actually well placed. Venue was very nice and party well organised. Food was delish! I definitely reccommend this venue to anyone wanting a party/celebration!! I had my 21st party here on Saturday and it was one of the best nights ever. Suresh and his staff were all extremely nice and willing to help and nothing was to much to ask from them. Suresh was great with planning the party with the room theme and also picking a DJ suited to my music style which was also great ! I would defiantly have it here again and the room was so stylish ! Great party venue ! Highly recomended ! Thanks everyone ! We recently held our Daughter's 21st Birthday Party at Midas. We had an excellent evening, everyone enjoyed the party. The following day the guests commented on what a great night they had. Suresh and his staff were extremely helpful and friendly and did everything to ensure that the party ran smoothly. The room looked lovely and the food was lovely especially the chicken curry and chicken tikka wraps and there was plenty to go round! The DJ was excellent too, and the bar staff were very friendly and helpful. I would definitely recommend the venue to anyone who is thinking of holding their celebration at Midas. Once again a big thank you to Suresh and to all his staff for making it such a wonderful night, one we won't forget! Had my friend's 21st at Midas! Was amazing. We met up with Suresh when we started planning and he was very helpful and we thought everything was reasonable. Even after a few problems with our own DJ he helped us sort out another (Sunny or Kanti whatever you want to be called). The staff on the night were very helpful and friendly. Everyone seemed to have a great night (including the birthday girls). I know I did. Would definitely recommend having parties here. They allow children too, which was much appreciated. Had such a good night and they made sure we got into our taxis. So helpful, can't say it enough. We hired Midas for our daughters 18th party. From my initial meeting with Suresh he couldn't have been more helpful and kept to his word. We had our own DJ and provided our own food, non of this was a problem. The venue was brilliant, excellent lighting, a well stocked bar and very reasonable prices and excellent bar staff. we made use of the projector and had photos of our daughter showing all night. I wouldn't hesitate to use Midas again, just need a reason! Thanks again Suresh. When I booked Midas bar for my partner's 50th birthday I had found it on an Internet search so I didn't know what to expect. But everything was great. The food was yummy and there was lots of it - proper home made chips too! Everything went very smoothly - the bar staff, DJ and doorman were all efficient and we didn't have to do anything to do except get very merry! Thank you so much Suresh for organising a great party which was good value for money. I'd recommend Midas to anyone. We hired the Midas Bar for our wedding reception/party...and a good time was had by all! We had such a great time and it was the perfect party venue. Thanks for helping to make our special day. I'm looking for special occassions & significant birthdays as an excuse to come back and party! Can't begin to tell you, what a time of my life i had. Just want to say a huge Thanks to Suresh and the staff for a fantastic night and no-one could fault anything. My hubby really enjoyed his birthday party, the venue was brilliant and the music was old skool, which everyone loved. Can't wait to book the next time, we've had 3 and now planning the 4th one.The best thing was the late licence. We hired Midas to Host the Official Law Ball after party this year and we were very pleased with the results. Suresh and his staff are unbelievably amazing. Everyone had a great night and we have received great feedback from our attendees. The in house DJ was great in accommodating all of our members requests and he did an amazing job. I am very pleased on how everything worked out - planning this event was very easy as Suresh was extremely accommodating to our needs and requests. I cannot stress enough how much I would recommend this venue for any event - the location and atmosphere is perfect. We hope to be able to plan another event there soon. Thank you, Suresh and the Midas team, for all your great work. We held our sixth form party at Midas bar in early February 2012 and were definitely not disappointed! Organising a party for around 200 sixth formers meant we were looking for special requirements due to the nature of the event, and Suresh was very understanding and accommodated us brilliantly. As a social committee we received lots of good feedback about the venue, music and staff. One great highlight was the concept of an hour where shots were a discounted price, this went down really well with everyone! Thanks for a great party, would recommend the venue to anyone! We hired the Midas bar for our son's 18th birthday, it has a great atmosphere and everyone is so helpful. A huge thank you to Suresh, his team and in-house DJ for a fabulous night. I had my fabulous 21st Birthday party at Midas bar and it was without a doubt the best day of my life so far. Many many many thanks to Suresh and the amazing staff. The venue was incredible, i had my projected pictures on the wall, had my 4 tier birthday cake on the cake table and had tons of cupcakes on the tables ahh and i had the time of my life i tell you! :) All my friends and family were extremely complimentary on the venue and the staff in general and they had a blast! Once again thank you so much Suresh for your time and effort, you guys all made that night perfect and i swear couldn't be more happier and I am highly grateful. It was a superb way to end a wonderful year. I cannot thank you enough for all of your help with organising my Boyfriend Jamie's 30th Birthday party! Everyone who attended has told us how much fun they had and how amazing the Venue was! You helped make the party what it was by making everything run smoothly and keeping me calm. the added touch of the photos being projected on the wall was a huge talking point and a fantastic idea. Your In house DJ was brilliant, Jamie had done a playlist for the evening and requested a number of songs to be played dedicated to me, which your dj did and managed to combine them all into one song - it was just magical!! I Cannot thank you - nor can I recommend your venue enough! I have just had my 21st Surprise Birthday Party at Midas, and I was blown away! There was nothing that was left out, everything about it was taken care of and perfect. The atmosphere created by the music, pictures projected on the wall, the amazing food and genuinely first class service made it the perfect cocktail for an absolutely amazing party! A truly amazing experience, I cannot wait to attend another party at Midas! Thanks again for making my 21st Birthday so special. A very big thank you to Suresh and the lovely staff for my hubby's 40th birthday at the weekend, all our friends and family had a fab time and thoroughly enjoyed themselves!! The venue was absolutely perfect and would most definitely book again and recommend to anyone planning any parties and celebrations. I'm already thinking about the next party!!!! Thank you so much everyone at Midas Bar and Suresh for an amazing 19th birthday party last night! was a great night and everyone really enjoyed it! A BIG BIG thank you to Suresh and his team for an amazing night. I had my 40th birthday day at Midas.I couldnt have asked for a better night. Suresh provided the food and the Dj. Both were awesome.I didn't have to worry about a thing ( just about managed to keep standing by the end of the night ). The slide show on the back wall was a lovely touch. Everybody had a great night night and talked about it for weeks after. I recently had my 25th birthday party at Midas Bar and it was an absolutely amazing night, better than I had even imagined it to be. From the first initial viewing and enquiry into hiring Midas, which was recommended to me through some friends who already have held successful party's there, I was helped tremendously in every way to organise a fantastic night. Suresh was very accommodating, and catered for all our needs. From making sure the bar had all the drinks we required, options to have food and the house DJ, to decorating the place perfectly to our requirements, everything was done to make sure I was happy and had a great birthday party. Again, I would like to thank Suresh and the Midas staff for an unforgettable night, and would definitely recommend Midas to anyone looking to hold a private party, or even just wanting a a wicked night out! I will for sure be keeping this place in mind for the next time im needing a private hire venue, or looking to get drunk on a Saturday night in Leicester town!! Thanks for an awesome time!! I recently had my 40th party at Midas. And I would like to take this opportunity again to thank Suresh for his hospitality - he was very accomodating - we were able to bring in our own DJs (who did a fantastic job ! ), food and decorations. The ambience and atmosphere was great. With a licence until 6am we were able to party into the early hours of the morning. We particularly liked the feature where we were able to project a photo slideshow onto the back wall - which everyone enjoyed watching. We all had a blast - everyone enjoyed themselves and we would have no hesitation in booking Midas for another party. Although still waiting for my free bottle of champagne (LOL). I recetly held and engagement party here for myself and my fiancé at Midas in July 2011. It was a great evening and many thanks to Suresh and all the staff on the evening. Suresh couldn't do enough for us and was a great host. 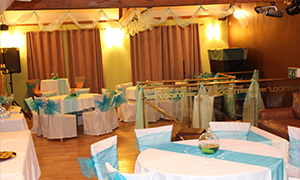 The venue was a perfect size, the upstairs room providing a great space to have drinks, buffet, cake and dancefloor for the 60 people that attended. The food and champagne put on for us was lovely and good value for money, Suresh even organised for our favourite cocktails to be available and tailored the bar to our tastes which was much appreciated by all. I would definately use Midas again for others functions and recommend to anybody looking for a venue for a great night out in Leicester. I want to thank Suresh for giving my niece Tanaka the best 18th birthday party. The party environment was very good and I felt that it accommodated the older family members well as well as my nieces friends. The night overall was a complete success and I would definitely recommend the midas bar as a party venue. The drinks were reasonably price and the bar staff managed to work quickly and efficiently as there was a lot of teenagers at the party and there were a lot of drink orders coming through. As well as that the door staff were very attentive into not letting random people in the party and I thought that was very good as this led to no fights happening. As a 40 year old man even I enjoyed the music that the DJ was playing. The party ended at 5am and I think this was because of the positive environment which was created by the bar and its staff. So once again thank you Suresh from myself and the entire family. I really enjoyed my experience at the midas bar as I found it top quality. The service was fantastic. Serush played a vital role in all the party preparations as he was very involved and tried to ensure that my daughter Tanaka was happy with everything that she wanted present at her 18th birthday party (and she had a lot of demands). I found that the price to hire the venue was very fair and Serush presented a lot of fair deals. As well as that the venue itself was able to hold all of my daughters friends which I think their was about 80 of them or so. The party itself was unbelievable. I hired the clubs DJ and Serush told my daughter to make a playlist of all the songs she wanted to be played, she said that the DJ was amazing and his collection of house music was out of this world. The drinks were very well priced and my daughter received positive feedback from her friends. I was shocked to see the way 18 year olds could party and drink.I thoroughly enjoyed myself and believe that the midas bar experience is the best type of experience there is because it enables a fun family type environment to be created. Finally, the staff were brilliant. The bar staff were excellent and the bouncers did their job very well as their were no fights that took place and no one that my daughter did not want at her party were not allowed in. It was a brilliant party overall. So my mum decided to throw me a party and let me pick the venue I instantly fell in love with Midas bar. It is sooo beautiful. I was allowed to decorate the venue to my own taste, he let me go crazy with the deco. On the day of the party IT WAS IMMENSE the bar staff were so nice and hospitable, everyone made sure I was happy with everything the bouncers were very attentive to everything. It was the best night of my life I was happy I had my party there. The drinks were very, very good prices and I think that midas is the best party venue ever. It was EXCELLENT. THE DJ WAS MAD HIS HOUSE MUSIC R&B AND FUNKYHOUSE COLLECTION WAS CRAZY!!! my friends and I really enjoyed ourselves. I LOVED IT. Big up the Midas bar, They are a cool and helpful lot. Thanks to Surresh for host a great party. Cheers! I would definately go back again.! I randomly found this bar when looking for a party venue, hadn't noticed it before, but definately glad I did. The staff are all great, and you can really have a laugh with them too, which is quite a relief in Leicester. Had a lot of help in organising the party, and had a great night. Looking forward to all of the future events at this bar, and will definately be holding my next party here. The extensive bar is also a plus. Thanks for everything to all of the staff. My friends & I were looking for a venue to have our friend’s surprise 30th birthday party and we needed somewhere which would allow for children, hot food and our own Dj. We visited numerous establishments but none would cater for all of the above, until I came across the Midas Bar. We were made to feel very welcome when viewing the venue and the Management were happy to answer all of our questions. On the day of the party, we were able to come in early to set up and the staff were happy to assist us too. The staff were very friendly and warm and everyone who came enjoyed the atmosphere. It’s also in a central location with a NCP car park nearby, which is also at discounted rate for your guests. I would recommend this venue to anyone who is looking for a great place to have a party with a great atmosphere! On Friday 28th January the University of Leicester Law society held one of their prestigious Cocktail networking events at the Midas Café bar in Leicester. Situated on Yeoman Street, in perfect distance of the train, bus and coach stations and with parking close by, Midas was excellently located for guests travelling to the event from various locations. This event was attended by several lawyers from some of the biggest Law firms and businesses in the country; I was therefore looking for a venue that could match the executive style I had planned. Midas fitted this entirely. We were given a choice of two good sized rooms and upon the advice of the manager we hired out the upstairs, the more private of the two locations, for a very reasonable price. The staff were extremely friendly and helpful, on hand throughout the night to ensure it ran smoothly. Before the event I was given the opportunity to choose the lighting, music, furniture arrangements and even to use my own system for the cocktails. With this in place the staff kept the guests thirsts quenched at all times! Overall we were very happy with this venue as it is both aesthetically pleasing and the customer service is impeccable. The manager, Suresh, was on hand at all times throughout the organisation process and was always willing to discuss and help with the event. He even provided yummy nibbles which were brilliant for those of us that hadn’t had time to eat! My Wife and I recently hired Midas Bar for our birthday party. Having been to a couple of parties here recently, we knew exactly what to expect and we were not dissapointed. The venue was exceptionally presented, and the lighting was ideal. The DJ was arranged through Midas and sounded great through the in house sound system. The management and staff were also very helpful. I have had excellent feedback from my guests and i have recommended this venue to my family and friends already. Thanks to all at Midas for making our party run so smoothly. I just want to say a very big thank you for letting me hire out your venue for my Partners 30th surprise birthday do on the 5th March 2011. We all had an absolutely fantastic night. The food was great, venue was great, excellent music and your’s and your staff’s service was excellent too. I would definitely recommend the venue to others or hire it for any future events I may need it for. My fiancé hosted a surprise birthday party for me at your venue (Midas) early this month on Saturday 5th March 2011. I just wanted to say a big thank you to you and your staff for all the help. You all were very helpful in organising and keeping the event a surprise. You even dimmed the lights before I came in to keep the suspense of who was inside. The buffet food you provided was nice and accommodated for everyone. Fantastic feedback was received from everyone. Everyone enjoyed themselves and were impressed by the venue. Thanks again and will definitely use this venue again for future events. To my surprise, my nearest and dearest had thrown me a surprise 30th Birthday Party at the Midas Bar. The Venue itself is set out beautifully and the staff were friendly and very well presented, they met all the Needs of all my guests and management was outstanding. Although my family had arranged their own food and DJ for the night, it was the Venue that made my party special and had all my guests talking for weeks about the Good time they all had. It was because of this that I decided to hold my sisters baby shower and my mothers birthday party at Midas the following month after. And again we had a Wicked time. Midas Bar will definitely be seeing more of our Parties in the future.